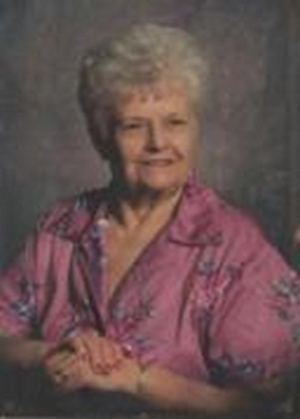 Obituary – Bower, Margurite “Margie” (Fletcher) « Perry High School Alumni Association, Inc.
Margurite “Margie” Bower, 93, of Perry passed away on Thursday, February 6, 2014. Services have been entrusted to the care of Palmer Marler Funeral Home and a service celebrating her life will be held at 10 a.m. Monday, February 10, 2014 at the First Christian Church in Perry. Rev. Martin Foster will officiate. Interment will be in Grace Hill Cemetery. Public visitation will be held on Sunday, February 9, 2014 from 1 p.m. to 8 p.m. with the family greeting friends from 6 p.m. to 8 p.m. at Palmer Marler Funeral Home. She was the daughter of Lloyd and Pearl (Eldridge) Fletcher and was born September 3, 1920 at Fort Worth, Texas. She was raised by her grandmother, Ida Eldridge. Margie graduated from high school in 1937. On October 31, 1938 she and Floyd Bower were married in Perry. They made their home in the Perry community. She devoted her life to her family and raised four children. Margie was a homemaker and worked part-time in the Noble County treasurer’s office during tax season. She enjoyed cooking for family and friends, sewing, gardening, crocheting and playing bingo. She was a member of the Rebekah lodge in Perry for more than 60 years and was a long-time member of the First Christian Church. Margie is survived by two daughters, Ethel Heppler and Betty Dailey and her husband, Jon, both of Perry; one son, Jack Bower, and his wife, Eve, of Grove, OK; six grandchildren, Alphreda Layton, Anthony Heppler, Yolanda Moody, Bobbie Sue Bower, Rhyan Bower and Travis Bower; 11 great-grandchildren, Josh Layton, Leigha Layton, Katlin Layton, CJ Layton, Coulter Bower, Tuff Alstrom, Drew Alstrom, Caleb Minrath, Rhyan Scott Bower, Julia Ann Waldrip and Hope Noel Hill. She was preceded in death by her parents, Lloyd and Pearl Fletcher; her husband, Floyd; one son, Bobby Lee Bower; and one grandson, Troy Palmer. In lieu of flowers the family asks that donations be made in Margie’s name to the Rebekah lodge tree fund in care of Palmer Marler Funeral Home 203 Fir Street, Perry, OK 73077.